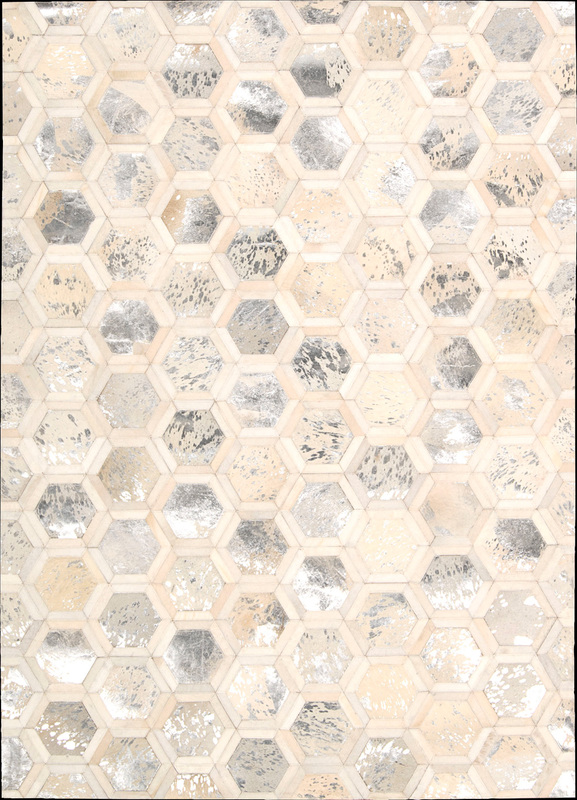 Michael Amini’s international style expresses itself in the urbane sophistication of this City Chic rug. Sensual and textural in natural hair hide, it combines an exciting combination of finishes, from matte to metallic, in a harmonious tonal palette of gleaming Snow. An artistic touch for the modern home.